Companions are a staple of the Zelda series, but some of the game’s supporting characters aren’t easily placed into the role. 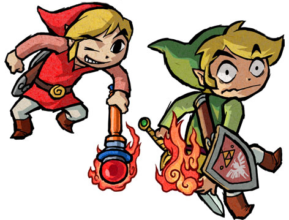 Three such characters are the additional Links in Four Swords Adventures, and whether they qualify as characters independent of Link whatsoever comes into question when one asks, “Are they companions?” I argue, yes. Sort of. To start, we’ll set an operational definition for the term companion. ZeldaWiki refers to companions as Link’s partners and says they “usually provide helpful hints and assistance with completing the game.” But one could say Link partners with many secondary and tertiary characters who aid him in his quests without them necessarily being companions, so we’ll narrow this down. In my mind, a Zelda companion is a character who accompanies Link for the majority of his journey providing assistance and possibly entering into gameplay. Link’s fairy companions don’t often influence gameplay, but Midna’s role in Wolf Link’s combat and the King of Red Lions’ function as transportation make inclusion in gameplay a possible function for companions. According to the definition above, the three Links certainly fit the bill. They are with Link for the entirety of Four Swords Adventures and are indispensable helpers in playing through the game. But the big question on everybody’s mind is whether Red, Blue, and Purple Link can be considered characters in their own right, and not just extensions of good ‘ol green tunic-wearing Link. The opening crawl of Four Swords Adventures describes the Links as the “four-who-are-one,” indicating that they are just Green Link when one gets right down to it. However, it’s possible that the Links are each a part of Green Link, like in pop-culture when a clone ends up as just the angry part of someone. In that sense, the Links would be independent beings, but parts of Green Link’s essence. This would also make Green Link incomplete, preventing him from being considered the “real” Link. There isn’t much evidence for this apart from the fact that the clones wear different colors and all their voices vary in pitch. If they weren’t fragmented Links with different traits, wouldn’t they all just be green and identical in voice? Probably not. It’s clear that the different colors serve a gameplay function of helping differentiate the Links quickly. The voices reinforce those distinctions and may be largely to the benefit of those with color blindness. I don’t personally believe the Links are fragments of Green Link’s personality, but independent of him. Shadow Link from Four Swords Adventures helps in establishing this independence, at least in terms of player conceptions of character. I don’t think it’s widely contested that Shadow Link is on his own a Zelda character, and an important one in FSA at that. But, according to Hyrule Historia, he is just a manifestation of Ganon’s legendary hatred for Link channeled through the Dark Mirror. Still he is considered separate from Ganon, the one who spawned him. So why not Blue, Red, and Purple Link? Well, in truth Shadow Link is thought of as one character despite his many copies. The copies seem to be connected in some kind of hive-mind way, but can also act independently. And the Links are the same way, so that’s another strike against companionhood. There is one solid argument supporting the Links’ status as companions. I believe that the other Links are part of the Four Sword much in the way that Fi is part of the Master Sword. It’s the power of the sword that manifests the additional Links, and that power can duplicate anyone who pulls the sword. So, in essence, there are just three clone-morphing souls inhabiting that sword, independent of Link. Although, when switching between Links, three will go completely catatonic (unless picked up), so perhaps these souls can coalesce into one and bounce from body-to-body taking Green Link’s mortal soul around with them. With that said, I revise my argument to say that the three Links should be considered separate from Green Link, but as one entity: the embodiment of the Four Sword’s power. 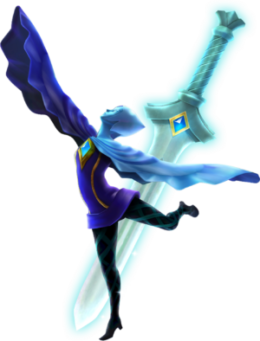 Looking to Fi once more provides precedent for a weapon to be considered a companion as she’s the power of the Master Sword, independent from the Goddess Hylia (who created her) and Link (who awoke her). But the boys aren’t out of the woods, yet. Another inquiry to examine is whether companions need to speak. ZeldaWiki considers Epona and the Crimson Loftwing companions, but they can’t provide verbal assistance to Link as many of the others do. Neither can the other three Links in Four Swords Adventures. Granted, this is because they’re emulating Link and since he (has selective mutism and) can’t speak in FSA, his duplicates can’t either. But, maybe this Link does speak, just off-screen like many other Links in the series. Then one could assume his clones do, too. I see no clear evidence of Link speaking off-screen in reviewing gameplay footage, though, and even if they technically could speak they don’t ultimately offer Link any verbal advice in-game. 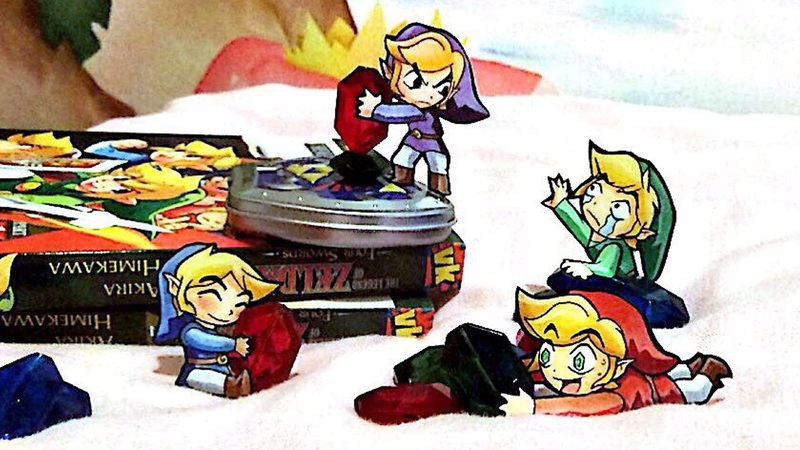 The other Links in Four Swords Adventures don’t exactly get the chance to submit input because they’re constantly involved in the gameplay, figuring things out all together in real-time. And the definition settled on earlier doesn’t specify speaking. So, I’m going to choose to believe that the other Links in Four Swords Adventures are companions. When considering them as the power of the Four Sword, they are “a character who accompanies Link for the majority of his journey providing assistance and possibly entering into gameplay.” They should be considered as such because of precedent set by both Fi and Shadow Link. It’s sad to think that those three Links cease to exist once the Four Sword is once again in its stone, but it’s comforting that those three little rascals we got to know and love still reside within the sword, holding the seal that protects Hyrule from evil! What do you think, do the three duplicate Links count as companions in your mind? What’s your definition of a companion? Share your thoughts in the comments below! Alexis Anderson is a Senior Editor at Zelda Dungeon who has been writing for the site since 2014. Read her other articles here, and follow her on Instagram @triforce3.